Many of us have suffered some kind of trauma. Tantra is a powerful tool that can address the continued effects of life experiences that we still haven't full integrated. Join us live! Mantra and Tantra offer us powerful ways of healing, enlightenment and transformation. In Yogic Mystery School, we seek to develop karmically clean, mentally clear and overall healthiest expressions and methods of Indian spirituality drawn from Mantra and Tantra. One of the most relevant benefits of effective spiritual practice for us today, we believe, should be the integration and healing of the residual effects of difficult life experiences. We’ve all been subject to these, in childhood, in adulthood, even in the womb, in perinatal development. This year, we are excited to offer our second live retreat for students in our online Yogic Mystery School and School of Mantra to support our robust online programs and trainings on Mantra and Tantra. Keep in mind that ours is an inter-spiritual approach. We draw from the world's great spiritualities to inform our perspective and practice. Each day, we will explore new insights into the relationship between spiritual practice and the transformation of the self. This is the true value of our live retreat, to consider deeply how Mantra and Tantra can assist us in the integration of the energy dynamics residual from difficult life experiences and karmic samskaras. Many of us are drawn to spirituality without realizing what underlies our efforts, which can often create frustration in our practice and in our lives. What if suddenly a veil can be lifted from your eyes and you can “see” differently, and from a different vantage point from within yourself? Mantra and Tantra offers us therapeutic tools, so what we will engage in will not be excessively intellectual, although we will have discussions. Ritual is our essential healing modality, a container for the invocation and embodiment of the sacred masculine and divine feminine in ourselves and how we relate to these essential principles in the divine as well as in the human. Many of our students have studied and practice these rituals. Some are studying them right now. You can, too. Contact us if this is your interest as you can receive a significant discount for the retreat. Each day has a theme. Friday is dedicated to Shakti, the Divine Feminine, and the World. Saturday to Shiva Puja, the Sacred Masculine, and Transcendent Mystery. Sunday is dedicated to Ganesha and Gayatri, exploring the relationship between spiritual obstacles and enlightenment. Students who have learned our rituals can co-celebrate with us. Others can enjoy the experience up close and tap into their personal healing power. You can enroll for the retreat below, or contract us to combine the live retreat with our programs, trainings or coaching to receive a significant discount, or even receive the retreat entirely free. Tuition for this retreat is a gift for anyone registered for our Pilgrimage to India in 2019. Learn about our pilgrimage Transform in India. Choose all three days if you want the complete experience! We hope to build, deepen and grow our sense of spiritual family during this retreat so that our students can meet one another and so that our online interactions and trainings can become more dynamic. The purpose of the live retreat is not to provide an isolated live experience, but to add a personal dimension to our robust online and personal development through Yogic Mystery School and School of Mantra. Last year, about 30 of our core students convened at this location for our very first live YMS retreat in Austin and they enjoyed very much, not only because of the quality of the hotel, but also because how contained the experience was, how deep they could go, and the degree to which we could all bond with one another. We did not want to offer the retreat again this year, but so many of our students requested that we repeat it, so here it is! Don’t miss it. 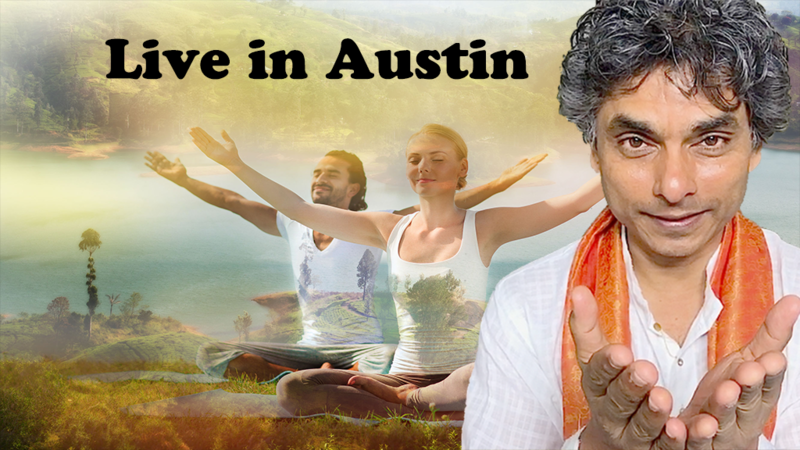 Our Complete 3-Day Sri Vidya Live Retreat in Austin, TX (Nov 2, 3 & 4, 2018) is included in our Enhanced Plus and Complete Trainings. Contact us to sign up for these online trainings.